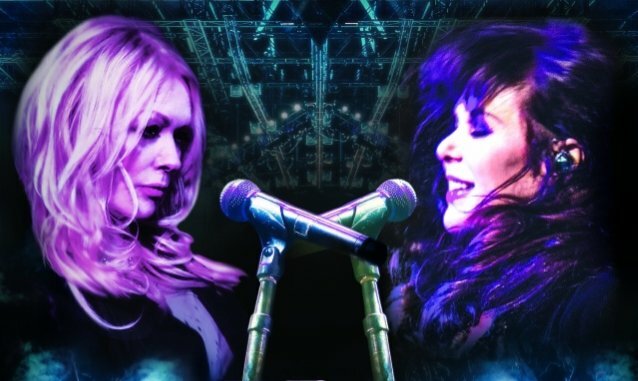 HEART — Ann and Nancy Wilson — will return to the road in 2019 for the first time in three years with their massive "Love Alive" cross-country summer tour. Produced by Live Nation, the expansive 39-city outing by the trend-setting, multiple-platinum Rock And Roll Hall Of Fame legends kicks off Tuesday, July 9 at the Hollywood Casino Amphitheatre in St. Louis, Missouri and will make stops in Chicago, Atlanta, Houston, Denver and more, before wrapping September 9 at the famous Hollywood Bowl in Los Angeles, California. 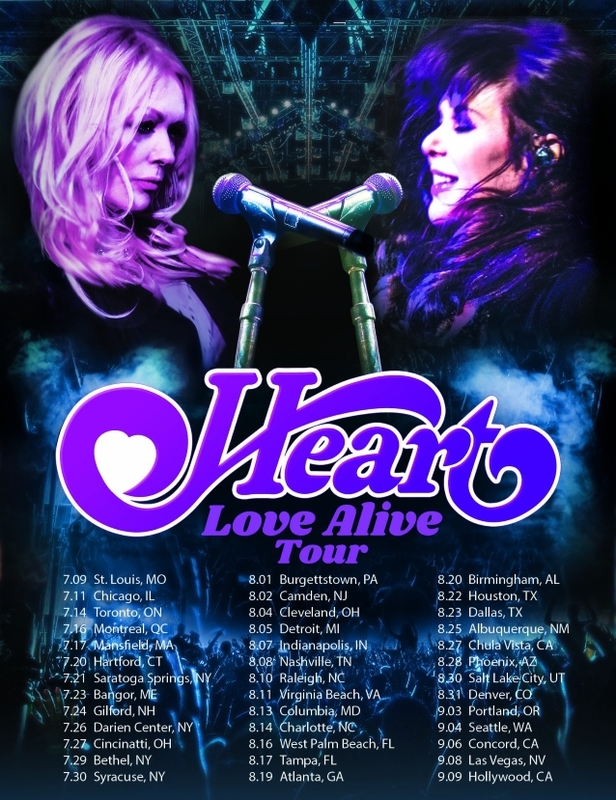 HEART will be joined by JOAN JETT & THE BLACKHEARTS, Sheryl Crow and Brandi Carlile on the road this summer. Along with the stellar lineup, also appearing are Elle King and Lucie Silvas. See full itinerary and details below for a breakdown of which shows these artists will be appearing on with HEART. Tickets go on sale to the general public beginning Friday, February 15 at 10:00 a.m. local time at LiveNation.com. Citi is the official presale credit card for the tour. As such, Citi cardmembers will have access to purchase presale tickets beginning Wednesday, February 13 at 10:00 a.m. local time until Thursday, February 14 at 10:00 p.m. local time through Citi's Private Pass program. HEART will partner with Reverb for this tour, to reduce the environmental footprint of the events while also engaging fans in local and national causes each night in the concourse. Nancy and Ann Wilson had a falling out during HEART's 2016 tour, when Ann's husband Dean Welter was arrested for assaulting Nancy's then-16-year-old twin sons in a backstage altercation at a gig near their hometown of Seattle. He pleaded guilty to two lesser assault charges to avoid jail time, but the damage to HEART had been done. During an appearance on the "Let There Be Talk" podcast, Nancy spoke about the incident which caused HEART to go on a kind of hiatus for the past two years. "There was a family drama that was highly uncalled for and unnecessary and hurtful, and it was just one of those things that takes time to get past," she said. "So, a couple of years have gone by. It's not anything that Ann ever did wrong, or I ever did wrong, but it's just one of those family dramas that just happened, and it just kind of poisoned the atmosphere for a while there. So it's good. I've had a real positive feeling about now that I'm communicating directly more with Ann." Asked who it was that made the initial contact about a possible reunion tour, Nancy said: "I've been sort of [reaching out to Ann] for a while, but she was kind of busy and, I think, scared to talk. And I kind of said, 'I'm not ever gonna confront you about anything, but there is this huge offer on the table, so we should talk — just the two of us.'" Q: Congratulations on the news of the upcoming tour. 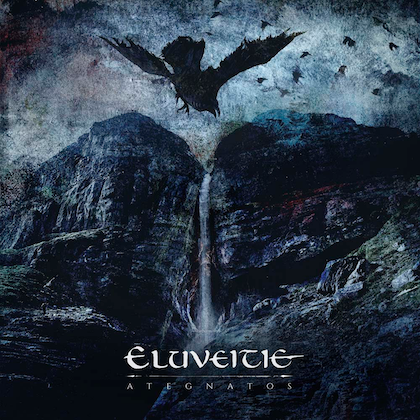 What inspired you to name it "Love Alive"? Ann: "'Love Alive' is a song and a sentiment that goes back a long way with us. It goes forward too. It is a hopeful, positive and universal vibe like we feel this tour will be." Nancy: "Yes! I think the tour will spark some positive new energy as we rediscover some of our iconic songs and also some fan favorites. Calling the tour 'Love Alive' was something Ann and I felt instantly good about. We have always had many love-themed mottos along the way like 'Love Rules', 'Love Wins', 'Love is It' — and of course it's a very cool song as well." Q: This will mark HEART's first tour in three years. During this time, you both released your own projects. Do you feel your time apart will inject HEART with a new energy? Nancy: "Yes, I could see it was time for HEART to have a break. We'd been slogging through tour after tour fairly nonstop and were starting to burn out a little bit. Things had just reached a heavy climax. Working with my other new band ROADCASE ROYALE was a life-saver. Writing brand new songs playing shows and delivering a new album with them was the medicine my soul needed. Ryan Waters (who with Liv Warfield worked in Prince's band) will be joining me on the HEART stage and I know that will inject a wonderful magic into the HEART equation." Ann: "Absolutely! Both Nancy and I have stretched our wings in life these last three years. We've both lived and loved. We have breathed and traveled and experienced life. We come to this tour with fresh energy and oxygen." Q: Might this year's tour be different in any way than the 2016 tour? Ann: "It will be unlike any other Heart tour that has been. Some of the songs will be classic of course, but this tour will be a new animal." Nancy: "I think this tour should look feel and sound bigger than other HEART tours so far." Q: What is the connective tissue between HEART and the other artists you've invited to tour with you? Nancy: "I think this year is a good year to show the collective impact of some powerful women in music. We would usually steer clear of the female-centric concept, but in the light of current events it seems like the right statement at the right time." Ann: "Sheryl and Joan we have known for a long time. We have hung out and appreciated each other's music onstage and off. Brandi Carlile is a fresh and authentic artist that we both love....and Elle King is my favorite new artist. She has so much soul and attitude! We are so thrilled to host all these artists on the 'Love Alive' tour." Q: HEART has created a meaningful body of work with songs that are deeply woven into the culture. Can you describe the feeling of what it's like to perform these songs in front of longtime fans as well as new ones? Ann: "It feels good to see people's eyes light up when we play one of the classic songs they know and love. I always wonder how a song like 'Crazy On You' hits the mind and soul of a 17-year-old in 2019...they seem to be as into it live as everyone else. When I think of the connection we continue to have with our very diverse audience, I am deeply grateful and always amazed!" Nancy: "It's an incredible feeling and a great compliment to see our loyal fans and the new generation of HEART fans at the shows. 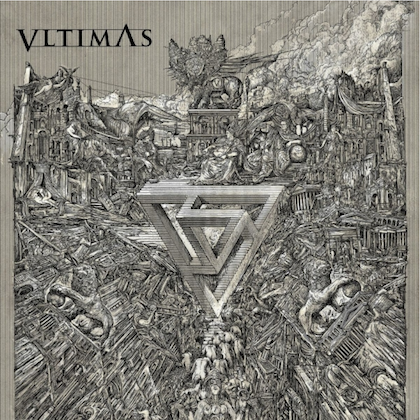 It speaks to the songs as well as giving a bigger sense of history to the younger ones. It's authentic live music with no added prerecorded or Auto-Tuned vocals or tracks blended in. No bells or whistles, smoke or mirrors. I think in many ways that's a whole new thing for young kids who love music and they know the difference and appreciate it. It's completely real."